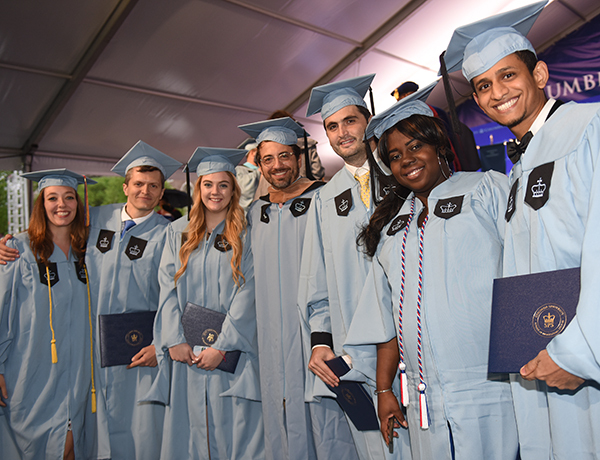 On Saturday, May 12, 957 School of Professional Studies students gathered on the South Lawn of Columbia University’s Morningside Heights campus to celebrate the successful completion of their master of science degrees. SPS Dean, Dr. Jason Wingard, who presided over the ceremony, welcomed the degree candidates and more than 4,100 guests, who included family, friends, and faculty. Dr. Jason Wingard, Dean, School of Professional Studies, addresses the graduation ceremony audience. Gary E. Knell, CEO of National Geographic Partners, delivered the inspirational Graduation Ceremony Address and Megan Candio (’18SPS, Nonprofit Management) gave a rousing Student Address. Dean Wingard presented the Dean’s Excellence Award, which recognizes exceptional members of the SPS community annually, including one honoree in each of four categories: administrator, student, faculty, and alumni. Recipients for 2018 were SPS administrator Clea Mahoney, Platform Support Specialist, Division of Academic Affairs; student George Fadel (’18SPS, Sports Management); Dr. Kevin Visconti, faculty member for the master’s programs in Strategic Communication; and alum Rachel Hitchcock (’16SPS, Strategic Communication). 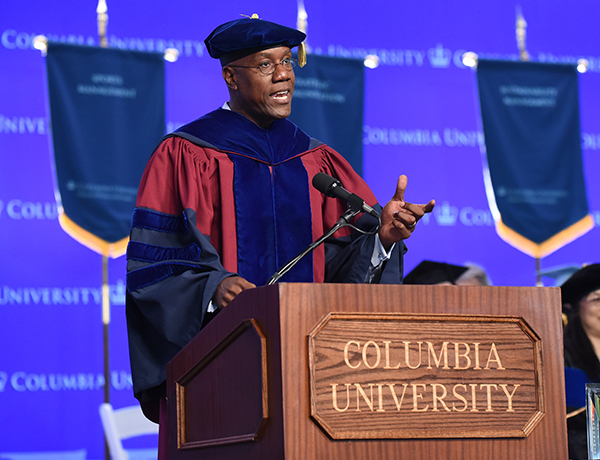 Presented by the Columbia Alumni Association (CAA), The Campbell Award honors a graduating student at each School who shows exceptional leadership and Columbia spirit as exemplified by the late Bill Campbell, ’62CC, ’64TC, Chair Emeritus, University Trustees, and CAA co-founder. The 2018 recipient was Kristina Hosi (’18SPS, Bioethics). The School’s Associate Deans Andy Atzert, Dr. Erik Nelson, and Dr. Tatum Thomas, were on hand to name the candidates for 13 degree programs. The Academic Directors for each of the programs were also present onstage to congratulate each candidate. Proud new members of the SPS Class of 2018. Following Dean Wingard’s closing remarks, the candidates and assembled guests then took part in a recessional to Ancel and Revson Plazas, where they gathered for a celebratory reception. University Commencement, a centuries-old tradition in which the President of the University grants degrees en masse to graduating students from 18 schools, colleges, and affiliated institutions, followed on Wednesday, May 16. 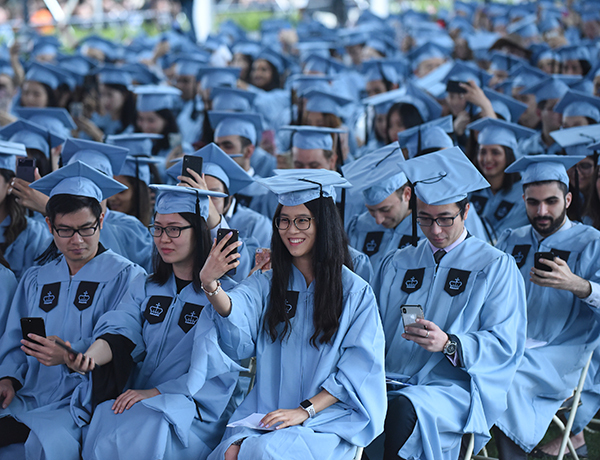 Watch the webcast recording of the Graduation Ceremony and tag your graduation photos and news using the hashtag #ColumbiaSPSGraduation! Learn more about the School of Professional Studies at Columbia University.